The city has a few places to offer when it comes to shopping. Some of the main French Distributions companies are present in the area and detain a big share of the markets. 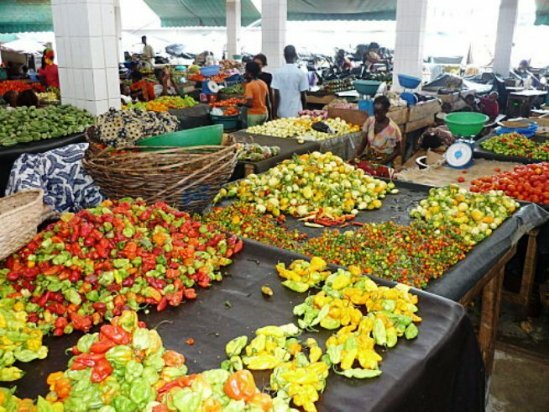 For Ivorian and local foods and articles, it is better and cheaper to go to neghborhood markets. as most neighborhoods do have at least small markets. There are also the biggest markets of Abidjan. We have the Market of Treichville in the south of Abidjan and the Adjame Market in the North. However, we would recommend going with a local to these markets since it is very hard getting around those places. For clothing, tourism, souvenir and local articles there are few specialized market like the market of cocody and another one in Grand-Bassam (metropolitan Abidjan). Those markets are well organized and clean. Get ready to bargain as you never ever buy an article to the price they are trying to sell. This is part of African culture and everybody does it. Do not hesitate sometimes to offer half the price you have been told. Non national and everything that "looks expat" would make some people trying to get a little bit more off of you.